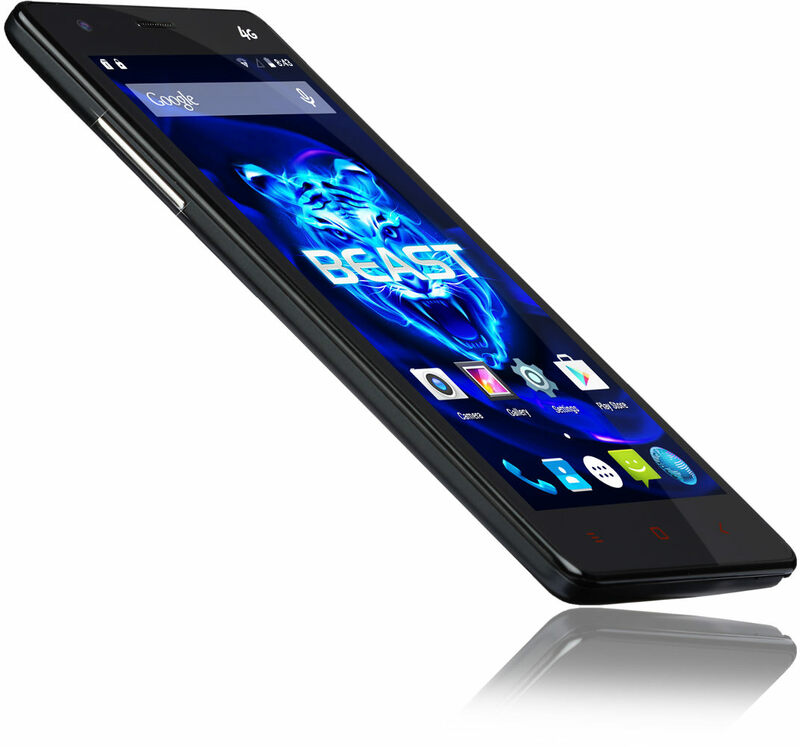 Check iBerry Auxus BEAST specs, features, review, price and availability details. iBerry Mobiles partnering with Snapdeal launched its latest Smartphone in the Auxus series dubbed as IBerry Auxus BEAST. The device will be available to purchase starting from April 20th and includes much more launch day offers. The device has 3GB RAM, which makes it the best smartphone with 3GB RAM pricing just Rs. 13,990.
iBerry Auxus BEAST smartphones features 5-inch HD IPS display (1280 x 720 pixels) with Coring Gorilla Glass protection and has dual SIM support with dual standby. The device has thickness of 8.2mm and weighs 168.6 grams. The 5-inch smartphone is powered with 1.7GHz Octa-Core MediaTek MT6752 processor with Mali T760 GPU and is coupled with 3GB DDR3 RAM. Currently the device runs on Android 5.0 Lollipop OS which can be upgraded via OTA. Having 4G Connectivity on top, the device also packs with Wi-Fi 802.11 b/g/n, Bluetooth 4.0 and GPS. The inbuilt memory of the device is 16GB which can extendable up to 128GB with microSD card. High quality pictures can be taken with the 13MP camera present on the back of the device and there is 8MP front facing camera for selfies and other video calls. It packs with 3050mAh removable battery which is well-enough to provide decent backup to the device. “While some are occupied in just allowing consumers to taste economical Android Smartphone with mediocre specs – 32-bit Octa Core 2GB RAM consistently, we thought to bring in little surprise by a bigger and upgraded one – 64-bit Octa Core 3GB RAM phone at a similar cost., with our new Flagship smart phone Auxus Beast. To top it all, 4G LTE, 64-bit CPU and Android 5.0 out of the box, Auxus Beast has all that require and more to really suppress all the outdated specifications out in the market and give the Indian Consumer a thrilling opportunity to choose a phone which really stands out of the rest at an affordable price” stated Abrar Amzeen, Business Development Manager, iBerry Auxus. The iBerry Auxus BEAST will be available exclusively on Snapdeal with price tag of just Rs. 13,990. The device comes in black color options and there will be Red, Blue and White colours back panel which will be available separately. In addition, the smartphone is coming with Rs. 3,000 as launch day offers which includes Wi-Cam Controller, Screen Guards, Silicon and more.